Online Registration for 2019 is available below. 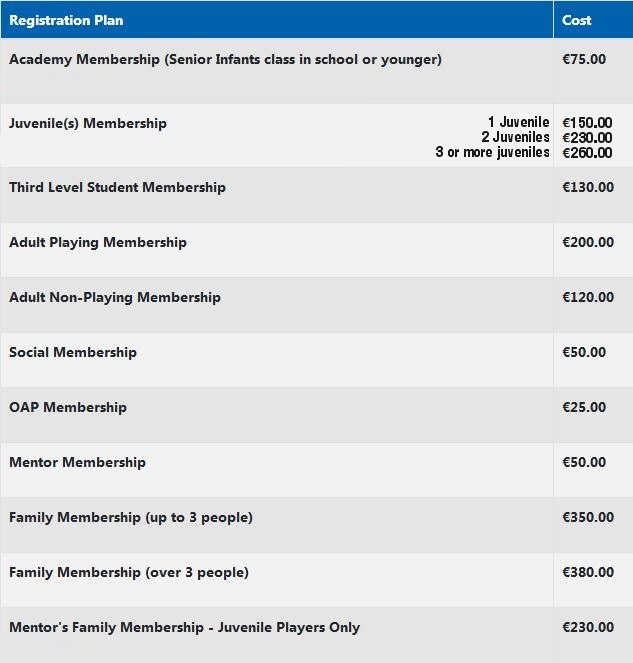 Your Club Membership can be registered and paid online by Credit Card, Debit Card (such as Laser) or by Cheque by clicking the link below. Alternatively you can download application form and return to team mentor or leave it into the bar for the attention of Tom Ryan.